Having a website has many advantages. You can use it to show off your portfolio, publish your resume, and sell products online. It gives you professional look and a prospective employer can find you much easier. However having a website is not easy if you don’t know much about it. Luckily, I have tips for you. Consider these before you start creating your website or blog! You need to have a purpose. Are you going use your website as a platform to sell products, host portfolio or resume, or just to blog? Do you strive to publish articles often? This is important because it determines the style of hosting you should consider. 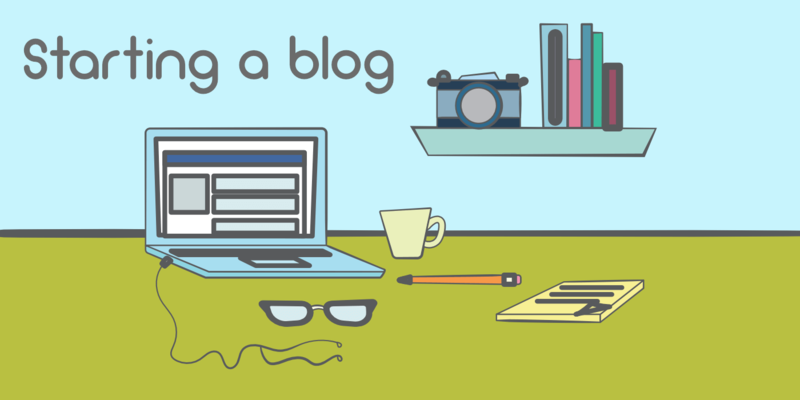 If you are a beginner, I suggest you consider blogger.com as your blog-publishing platform. It is a great way to save time and money because blogger.com is easy to use and free. In addition to that, if your blog is qualified for Adsense, you can sign up for Adsense easily by clicking the sign-up tab in the blogger earning tabs. However, blogger.com doesn’t have many themes to choose from. If you know how to play with XML codes, you can easily modify the theme to make it unique, though this is not always possible. Finally, if your site is expanding and needs rooms that blogger.com can’t accommodate, you may need to find alternatives such as using self-hosted WordPress.org or WordPress.com. If you’re focusing on selling products, Shopify and WordPress.com business plan may be the best choice. Shopify plan is just $79 per month while WordPress business plan is C$ 32.42 per month. Although both are excellent options, I suggest you use Shopify to sell your only products because Shopify is dedicated to e-commerce. The great thing you should know about wordpress.com is that they give industry leading live support, to make sure the website is up and running without issues. On the flipped however is that wordpress.com doesn’t allow plugins unless you sign up for their business plan. If you rely on ad revenue, you need to sign up for their premium plan of $10 per month. It allows you to monetize your site through their WordAds. I haven’t tried WordAds before so I don’t know if it is better than Adsense. If you are looking to monetize your site through Adsense, then consider using blogger.com or self-hosted WordPress.org. To get even more freedom, you can opt for VIP Wordpress but that costs thousands a month. If you have excellent technical skills, you should consider buying a web hosting from web hosting companies. Many web hosting companies offer great discounts and affordable plans. However, if you don’t have any technical knowledge about cPanel or any necessary things related to web hosting, you can ask your friends, community members or hire professional web developer to help you with your website. Typically shared hosting cost between $60-$120 per year, and it can add up to a significant amount as your site grows and needs higher plan. If you are on tight budget, you can consider hosting your blog, website, portfolio or resume on Github using Jekyll or Hexo static generator. No need to buy web hosting. You can use your own custom domain too. If you need help getting started with Jekyll or Hexo, you can visit their official website and good luck for your next project. What do you think about these tips? Let me know in the comment below.